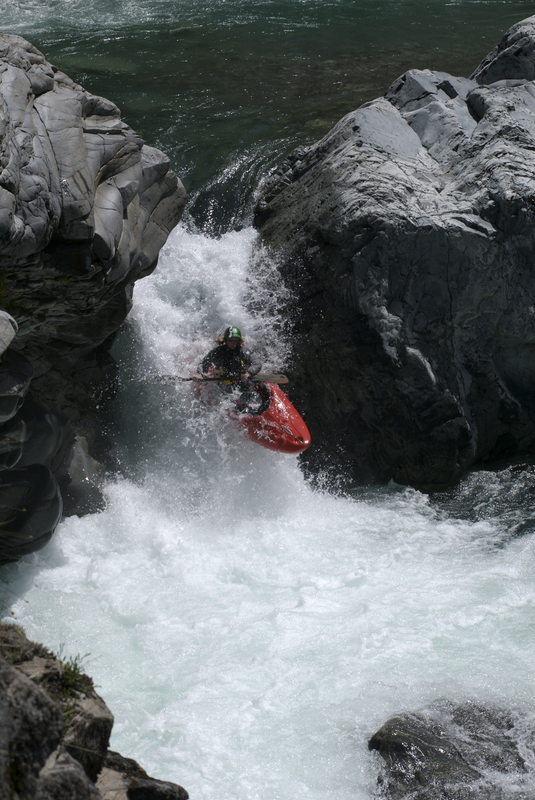 The Diguillín River (pronounced Dee-Gee-Yin) is a low volume winter/spring run in Chile’s 8th region. Having a granite streambed, crystal clear water, and fun pool-drop rapids, makes the Diguillín an attractive springtime option. 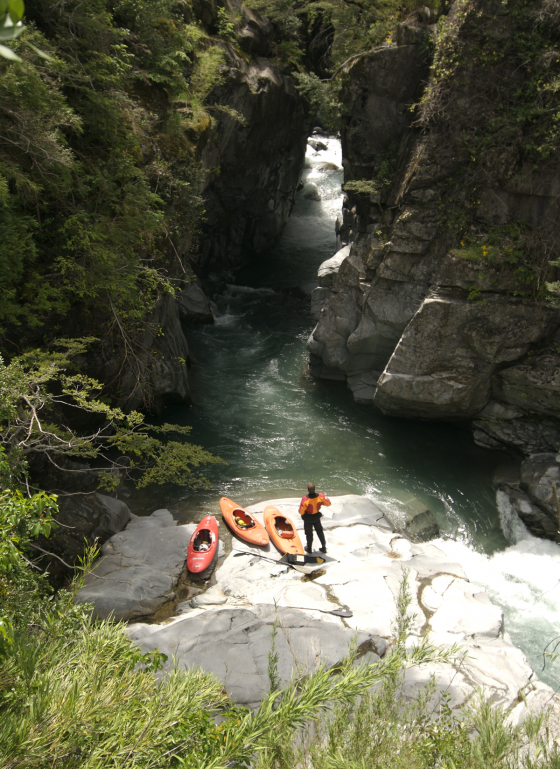 Nestled into a canyon at the base of the Chillan Volcano (3212 meters), the Diguillín receives it’s water from the peaks located in Reserva Nacional Nuble which straddles the Argentinian border. Volume is small with mid November flows estimated at 250 to 400 CFS. The river is usually too low to run by December. 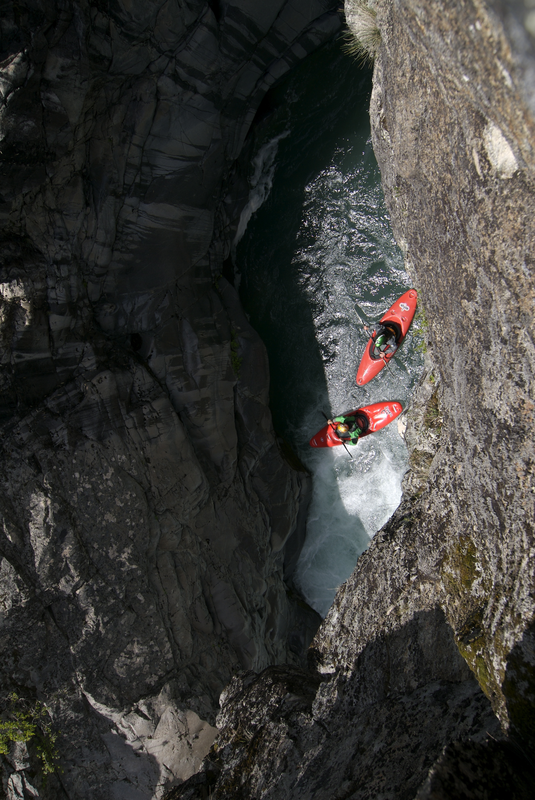 The run contains mostly class 3-4 rapids but class 5 options await those willing to put-in on the upstream canyon. To reach the river exit Ruta 5 Pan American highway in Chillan and follow well marked signs towards Termas De Chillan on paved road N-55. En Los Lleques turn off onto a gravel road that leads down to the river. Leave your car where you want to take out and go upstream as far as you choose or as far as you are able to go. A locked gate may present a problem, however, if you say you are going upstream to visit the Reserva Nuble the gatekeeper will let you pass for 2000 peso entrance fee. A normal run is around 6 KM long. Other nearby rivers are Longaví, Achibueno, and Laja. Other local attractions are the Termas de Chillan, the waterfall of Estero Renegado which enters river just below Los Lleuques, and the protected biosphers of Reserva Nacional Nuble and Santuario Los Huemeles de Niblinto. If you hit the run in early spring (September/early October) you can boat in the morning, ski/snowboard in the afternoon and soak in hot springs in the evening with fine dining and lodging in nearby Las Trancas.